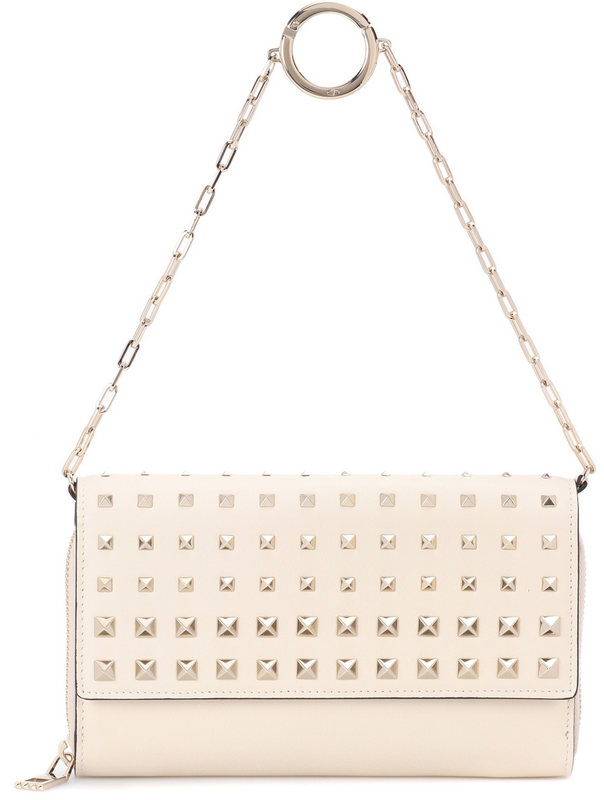 We always say: ‘when you need studs, go find it at Valentino’. Why? Because Valentino makes the best studs in the world and they’re famous for it! Meet the latest Valentino Garavani Soft Mirror Wallet On Chain (or just a mini bag, or an evening bag). It’s the newest design for the Fall Winter 2017 Collection. This bag is gorgeous and the look explains it all because a lot of attention has been spent on the little details. You won’t find much minimalistic handbag at Valentino, because it’s too boring. 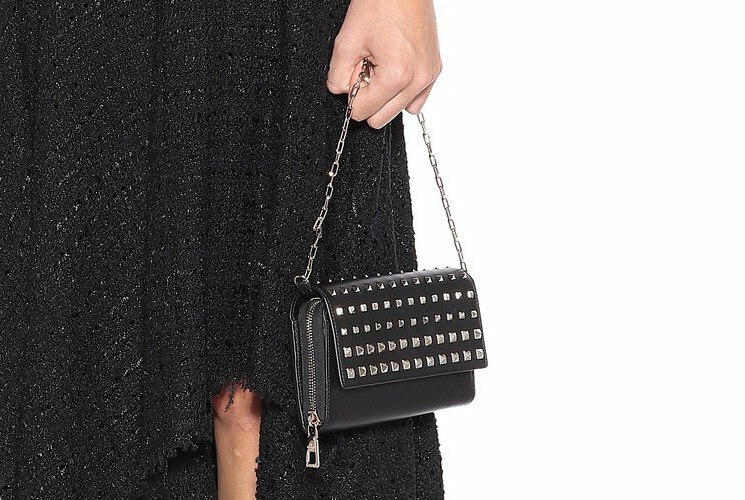 Just like this Garavani Soft Mirror WOC, this bag is made with solid color, but it wouldn’t be a Valentino handbag if they didn’t threw some studs at it. 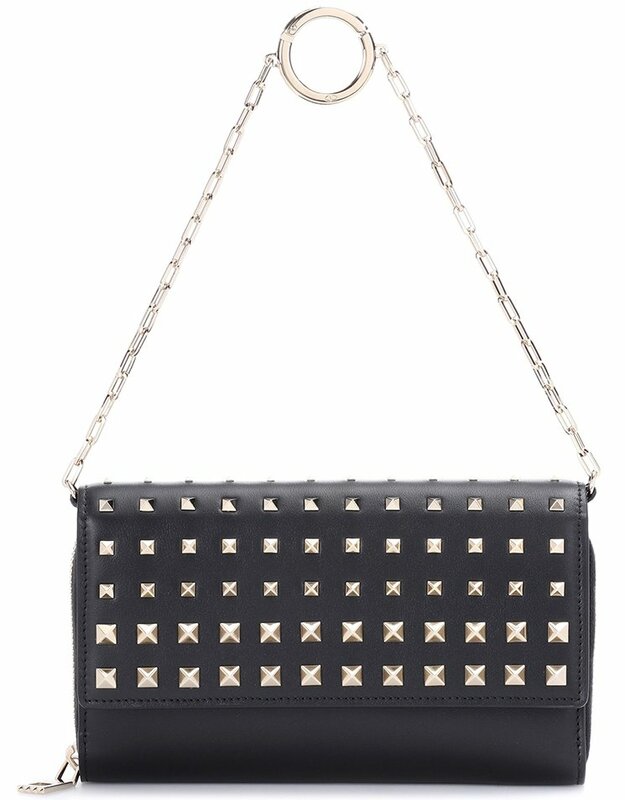 The studs are organized from small to large on the front flap, with the largest on the front and it goes smaller once it moves to the top. 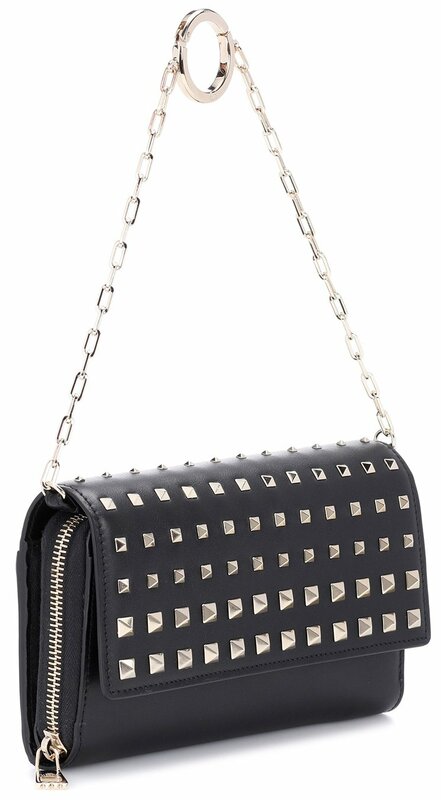 This bag radiates the tough-luxe status. It goes perfectly with an evening dress or just casual clothes. You can use it for special occasions or just on a lunch date. The chain is even more beautiful and can be adjusted. The chain can also be detached so that this bag changes into a clutch bag. The end of the chain is refined with a big round jewel-like hardware, which looks very stunning and feminine. This bag also offers an option to carry as chain-link hand-strap. For a small bag, this Garavani Soft Mirror WOC is surprisingly roomy. Inside you will find one main compartment to store all your necessities, but it also comes with a zipped pocket and a slot pockets (including 8 card slots). Measuring 4.5’ x 7.5’ x 1’ (H x W x D) inches, priced at $1375 USD, $9300 HKD, ¥147000 JPY, $1640 AUD.